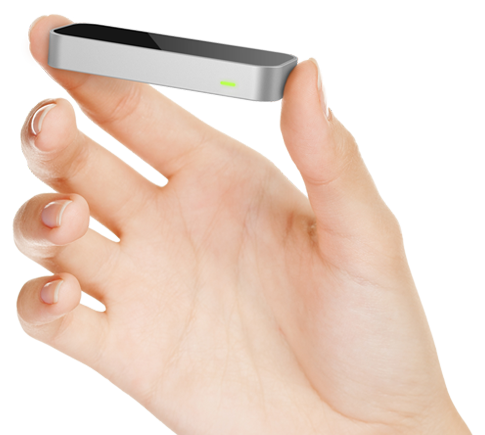 Leap Motion, a highly accurate 3D motion controller, has signed a deal with Best Buy for the retailer to be the exclusive place where shoppers can purchase the device, according to TechCrunch and others. Best Buy will put Leap Motion’s devices on display in its stores so people can test out games and apps. Pre-orders begin at Best Buy's stores and website in February for a launch in the spring. Leap Motion is also taking pre-orders for the $70 device (plus $9 for shipping) on its own website, with shipping expected later this quarter. This month, Asus announced that it would bundle the motion controller with select new computers, including laptops and all-in-one PCs, this year. The controller is roughly the size of two small fingers, and connects to Windows PCs or Macs through a USB connection. When placed on a desk, the device detects 3D motion within a space of about 8 cubic feet. It's much more accurate than Microsoft's Kinect, detecting motion down to the hundredth of a millimeter. But unlike Kinect, it's not a camera-based system, so it can't detect faces or capture the surrounding scenery. It's main use will be as a controller for applications that require a full range of motion, such as 3D modeling and gaming. 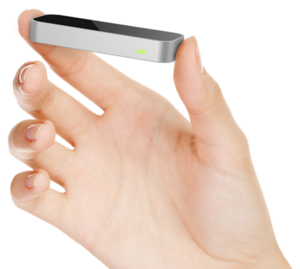 With that in mind, the usefulness of Leap Motion will depend entirely on third-party developers, and whether they support the device with interesting applications. Leap has claimed a strong developer response, and plans to have its own app store, but when I briefly saw the device at CES, I only got to try a few canned demos and Fruit Ninja. Leap Motion's partnership with Best Buy is interesting because it'll give people a chance to try the technology instead of ordering over the Web on faith alone. But the two companies will have to put together some really good demos, which actually show how Leap Motion would help the average PC user, or else it'll just come off as a gimmick.